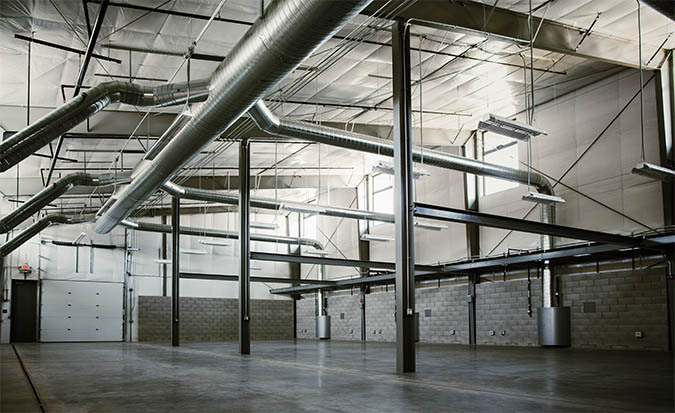 New 8,000 square foot building, which will enable the adjacent winery, brewery and food-processing complex to become the first self-sustainable, zero-carbon teaching and research facility in the world. Sustainable features include displacement ventilation combined with a radiant heating and cooling system, night flush/cooling combined with thermal mass, and photovoltaics. 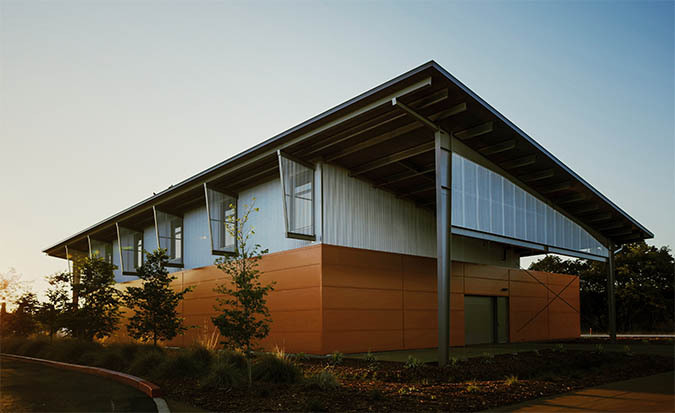 Key strategies to meeting the Net-Zero energy goal included a super insulated, extremely low leakage building envelope. In addition, all water, for use in cleaning tanks, landscaping and other applications, comes from captured rainwater stored in tanks. 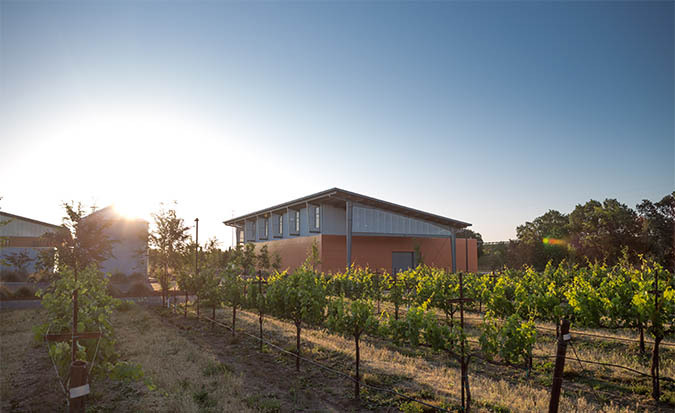 As a facility for testing sustainable wine making technologies, the building and systems have been designed for flexibility and adaptability. Pursuing Living Building Challenge Net-Zero Energy Building Certification.